Lavender has long been a favorite plant for use in essential oils and for its lovely scent in sachets. Those are useful and pleasant effects, but hidden inside this unassuming and easy-to-grow plant are abilities that modern medicine can't provide. Among other benefits, lavender can counteract drug resistant staph infections (MRSA) and fungal infections. While conventional medicine continues to drug women with PMS with addictive SSRIs, Japanese researchers have determined that Lavender essential oil can alleviate premenstrual emotional mood changes, confirming other research (and centuries of clinical use) showing that Lavender aromatherapy produces calming effects. Maternity and gynecology researchers have determined that abdominal massage with essential oils will decrease pain and excessive bleeding in difficult menstruation. Many women are plagued by painful menstrual periods. Many resort to non-steroidal anti-inflammatory drugs or birth control pills. 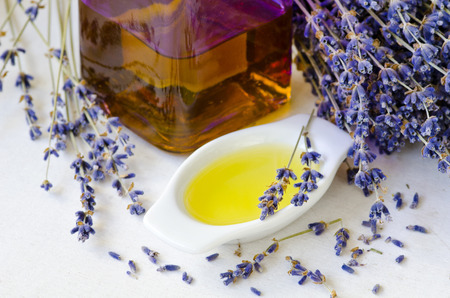 But inhaling lavender essential oil may significantly reduce their symptoms.